This Champagne is a favorite of mine. Powerful with fine bubbles. Balanced, bready, apples, nuts and brioche, with a slight hint of earthy nuances, a bit reductive. Drink now IMO (Aug 2018). Our House’s most famous wine was created in 1876 to satisfy the demanding tastes of Tsar Alexander II. 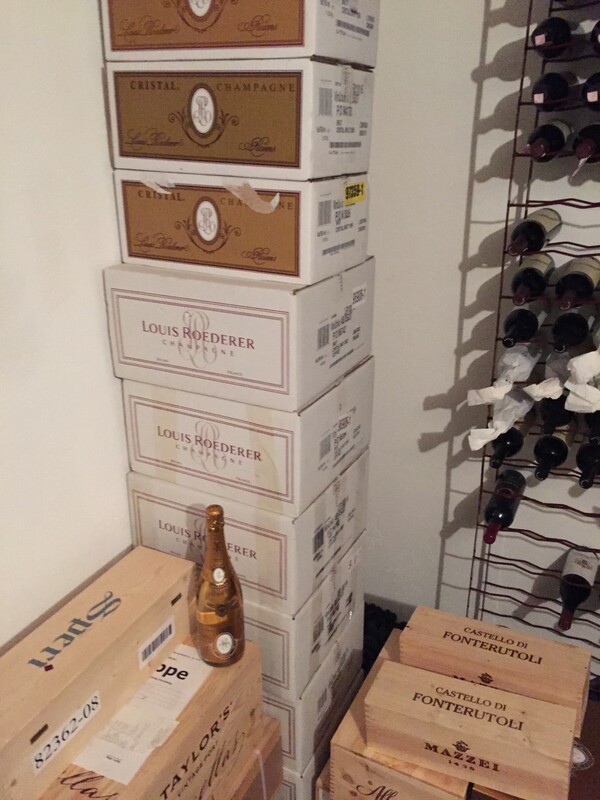 The emperor asked Louis Roederer to reserve the House’s best cuvée for him every year. He was particularly fond of the House’s wine. To distinguish this cuvée, this exceptional champagne came in a flat-bottomed, transparent lead-crystal bottle. The new brand was named after this precious material, which is particularly transparent and luminous. Produced uniquely during the best years, when the Chardonnay (around 40%) and Pinot noir (around 60%) grapes have attained perfect maturity, Cristal is aged for 6 years in Louis Roederer’s cellars and left for a further 8 months after dégorgement. Cristal is a remarkably balanced and refined champagne whose length is inimitable. It has a silky texture and fruity aromas, complemented by a powerful mineral quality with white fruit and citrus notes. Cristal is a wine that keeps well: it can be conserved for over twenty years without losing its freshness and character. One of the finest Champagnes I have ever brought to my lips, the 1999 Cristal bursts from the glass with fresh hazelnut and apple scents. Elegant, deep, and silky-textured, this medium to full-bodied beauty is immensely concentrated, pure, packed with apple flavors, and astoundingly long in the finish. Louis Roederer does not display a disgorgement date or consumer friendly lot number on its non-vintage Brut. This is regrettable as it has consistently been one of the finer bottlings in this category. 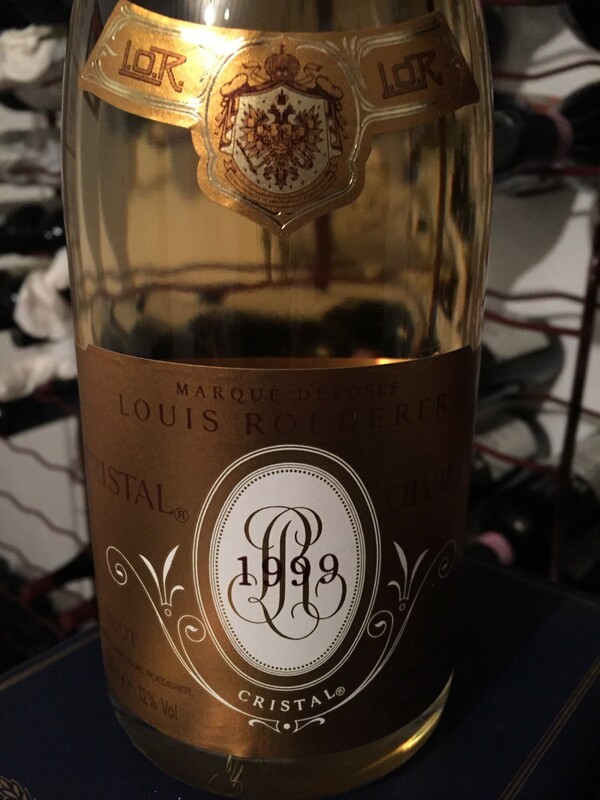 A powerful Cristal, which has all the richness of the 1999 vintage. The aromas of white flowers and cocoa lead to a palate that is rich, intense, concentrated, but restrained. It is already drinkable, but should mature well.